Involvement in any type of accident that leaves you with injuries can be devastating to you. While your immediate concerns are getting the proper medical treatment so you can heal and get better, eventually you are going to start to think about all of the fallout from your injuries. You may end up losing significant time at work or be unable to work again. Without work, you will not have a paycheck coming in to pay your bills and meet your obligations. On top of that, you have all of these medical expenses you are now worried about. How is everything going to get paid? Who is responsible for paying this? You may want to talk to a lawyer about this but are afraid that an attorney is an expense you cannot afford. That is where we can help. You want to turn to us at Belal Hamideh Law, the personal injury experts that you can afford. 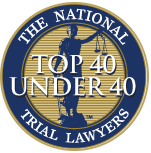 Our law firm specializes in personal injury cases of all kinds. We have a thorough knowledge of the personal injury laws on a state and federal level so you can be sure that you will get the best advice and guidance possible in your case. We can help you find out who the responsible parties are in your accident and work to get you the settlement or judgment that you need right now. We will do more than just settle for the first amount that comes along; we make sure you get compensation to cover your medical expenses now and in the future, any lost wages you may have experienced, expenses related to your accident and payment for pain and suffering. When you work with us at Belal Hamideh Law, you will not have concerns about attorney fees and expenses hanging over your head or keeping you from getting the proper legal advice and help. Each case we work on comes with no fees attached unless we win your case. Our payment comes when there is a settlement or judgment in your favor, so you never have to pay out of your own pocket. If we fail to win you a settlement, you owe us nothing for our work. 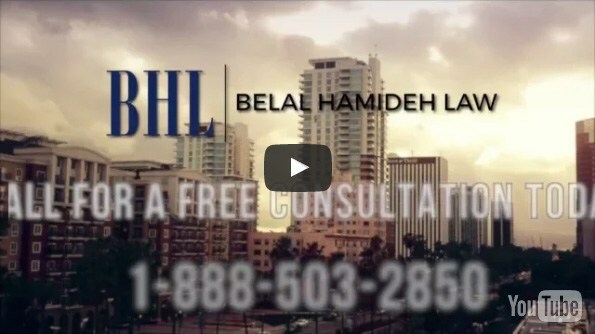 The first step you want to take is to call us at Belal Hamideh Law and arrange for a consultation. You can reach our office at 888-503-2850 so that you can schedule a meeting. Your initial consultation is completely free and at norisk to you. Discuss your case with us so you can see that you can have experts on your side to help you get the best settlement.